As one of America’s greatest and most innovative architects, it’s no surprise that Acme Studios would dedicate a pen or two to Frank Lloyd Wright. 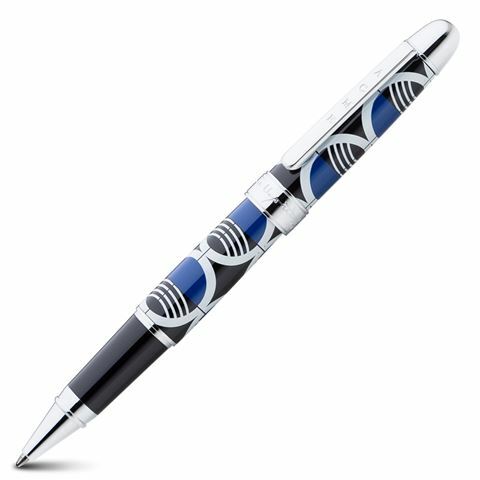 He designed New York City’s Guggenheim Museum, along with over 1,000 further structures; the Loggia Gates Rollerball Pen is directly inspired by the former. Adapted to resemble the Loggia Gate at the museum, the same circular motif upon this pen can be seen continued throughout the world-famous building. Beautifully presented and crafted to the highest specifications, the Loggia Gates Rollerball Pen also features Wright’s signature upon the cap ring.